Refer a student to Lake Erie Ink here! Regular volunteer opportunities are available to help with after-school programs, inschool peer editing, college essay workshops and to assist behind the scenes with anthology publications. Join their board for young professionals, Fresh Ink. Contact Jill Levin, program director at jlevin@lakeerieink.org to learn more. Lake Erie Ink depends on the support of donors to make their work possible. A full list of items currently needed is posted here. Teams of 2-5 people will compete on a 30×30 ft board in front of a live audience. All ages welcome! 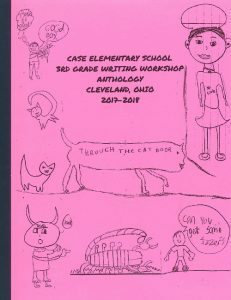 All proceeds support Lake Erie Ink’s creative writing programming for youth. From Mayfield Heights on the East Side to Brooklyn on the West and south into Maple Heights, students across Greater Cleveland have access to a community program that places their voices at the center of every conversation. 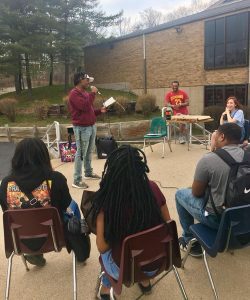 “It’s the idea that everyone has equal voice and equal importance in what they have to say,” Amy Rosenbluth, Co-Founder and Executive Director of Lake Erie Ink, says of the belief that drives her nonprofit organization’s mission to provide creative expression opportunities and academic support for youth in the Cleveland community. 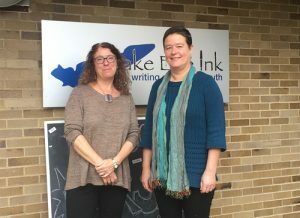 Lake Erie Ink began in 2011 after local teachers, writers and mothers Rosenbluth and Cynthia Larsen, Co-Founder and Lead Teacher & Curriculum Specialist, noticed that the pressures of standardized testing were squeezing out opportunities for their children to express themselves creatively in the classroom. Their efforts evolved into Lake Erie Ink, a nonprofit that served nearly 4,000 youths last year. 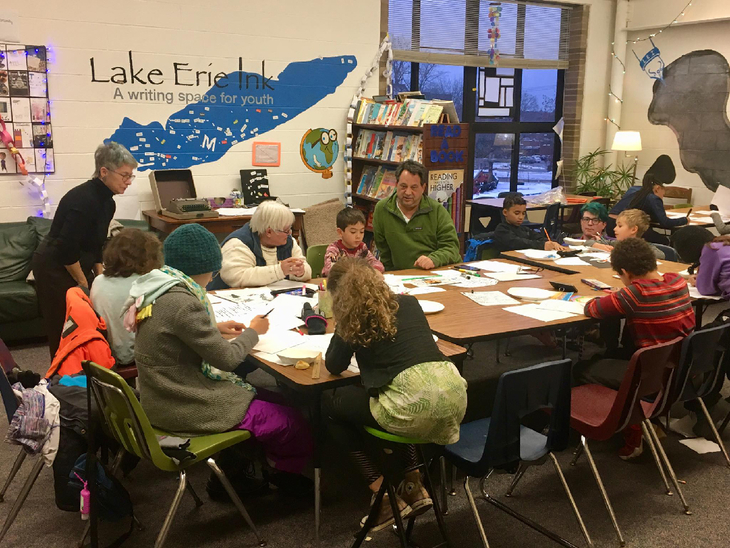 By offering a wide range of opportunities for young people to explore their creative side through in-school residencies, after-school programs, summer camps and collaborative events with other organizations, such as Cleveland Public Library and Center for Arts-Inspired Learning, Lake Erie Ink empowers young voices while teaching effective communication and critical thinking skills. The Cleveland Foundation is proud to have partnered with Lake Erie Ink since 2013 through both grantmaking totaling more than $67,000 and our summer internship program. Today, we ask the organization’s founders to discuss their methods of empowering youth voices and fostering community through creative expression. Why did you choose to focus on serving children and teens? Cynthia Larsen: College students can take a creative writing class, but children don’t have that choice, and teachers don’t often get that choice. So there’s this way that we can take what’s going on in the classroom and add this new angle – offer an opportunity to do something more creative and more motivating if they want to. Specialist, of Lake Erie Ink. What is the typical model for your programs? Lake Erie Ink also offers professional development workshops in writing across curriculum for teaching professionals. How do these programs contribute to your mission of giving youth a voice? Amy Rosenbluth: Both Cynthia and I trained in a philosophy of ‘if you’re teaching writing, you need to be writing.’ For us, it’s encouraging teachers to practice the writing . . . not just to model it for the kids, but for their own reflection and their own growth. How do you think creative writing contributes to community building and philanthropy? Rosenbluth: You can use writing and communication in all kinds of creative ways to engage everybody in your community, asking them a question where their response, no matter what it is, is valid. But, the more important part of that is making it visible so that when other people see it they think, ‘Wow, I haven’t thought about it this way.’ We do a lot of community events where we set up interactive writing activities, and I’d say, 50 percent of the people just come to hang out and read what other people write. One way Lake Erie Ink achieves this message of equality is by publishing anthologies that include personal stories from every student. Why is it important to encourage the students to share? 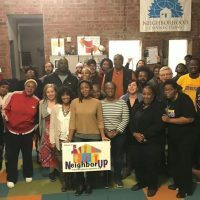 Can you speak about your relationship with the Cleveland Foundation? When did that partnership begin, and how has it impacted your work? Rosenbluth: Our initial grant in 2013 was a capacity grant that allowed us to hire teachers and go into more schools. Up until that time, it was just Cynthia and I. Also, in our growth, we wanted to serve specific schools. We started out in the inner ring schools where both our kids were, and in order to develop some relationships beyond that, we wrote this two-year grant that basically allowed us to pay for our staff, to increase our teaching time and to develop new relationships. 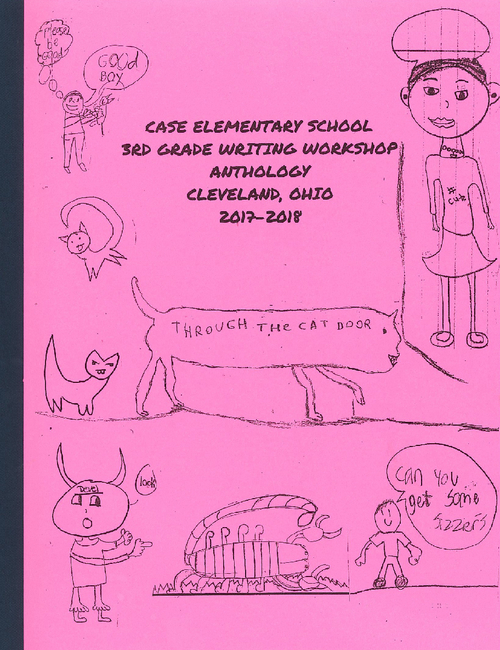 That year we started in East Cleveland, and we were also able to go into the schools for longer, deeper workshops, similar to a residency. That was a huge difference as well. . . you can’t even crack open possibilities if you don’t have enough time. The support from Cleveland Foundation allowed that to happen. We were able to develop relationships with those schools, develop curriculum and really develop a structure. Those first two years were critical. 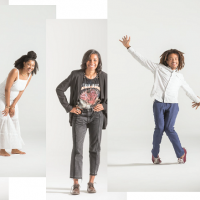 Stay tuned for more “Stories of Impact” in our community throughout 2019 featuring Cleveland Foundation partners and grant-funded nonprofit organizations. 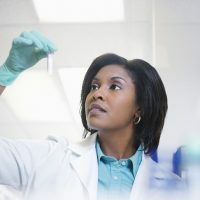 Looking to donate to a specific field of interest or begin your own fund to support causes you care about? Visit www.ClevelandFoundation.org/give.